Building Services Brianza s.r.l., was established in 1995 by professor Franco Giacomazzi and corporate manager Luigi Ambrosin. Giacomazzi and Ambrosin took the challenge of targeting the logistics outsourcing market, which was moving its first steps in the early 90s. Ambrosin and Giacomazzi wanted to put their own skills, developed over years of experience in multinational companies, at the service of a new entrepreneurial idea: to build an outsourcing value proposition fully tailored on the client’s needs, based on sound knowledge in the supply chain field and HR management, and facing this challenge with a new vision and approach in the relationship with clients and staff. Industrial logistics is a complex theme – as complex as production. Analytical and forecasting competences are absolutely required, as well as an engineering-based approach in designing warehouses and layouts. But this is not sufficient: advanced financial and managerial skills are required too. 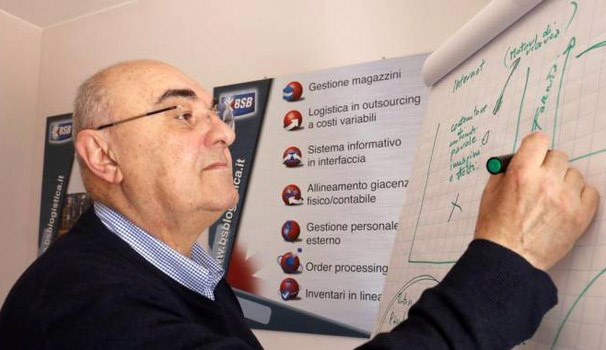 BSB Logistica has decided to further expand and strengthen its knowledge in management control to be able to share objectives and review costs structure with its clients. Choosing BSB Logistica as a business partner means not only having stocks or shipments under control, but also implementing a shared management system in which a qualified, skilled, and reliable partner interacts effectively with specific departments of your company. BSB Logistica strongly believes in working in a transparent ways, in healthy professional relationships, in an in open sharing and discussing about all issues arising during the business relation. We aim at building long-lasting relationships with our clients, at developing professional skills, and at improving financial performances of both parties. BSB releases its customers from all liabilities and undertakes full global responsibility to ensure compliance with all applicable labour laws and regulations in force.